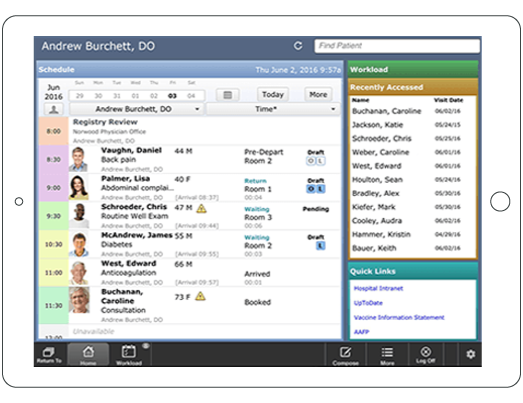 An EHR built specifically for you. Effective care doesn’t only happen in the hospital or doctor’s office. MEDITECH Expanse reaches out to your community and post acute facilities to help patients take better control over their health everyday. Treat the whole patient, inside and out. Center on the patient, not on the process. Unite teams for compassionate end-of-life care. With MEDITECH’s Patient and Consumer Health Portal, it’s easier than ever for patients to "own" their healthcare.